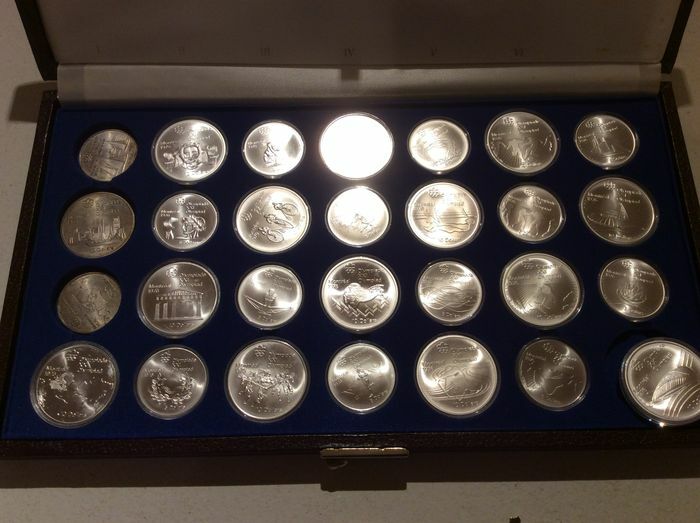 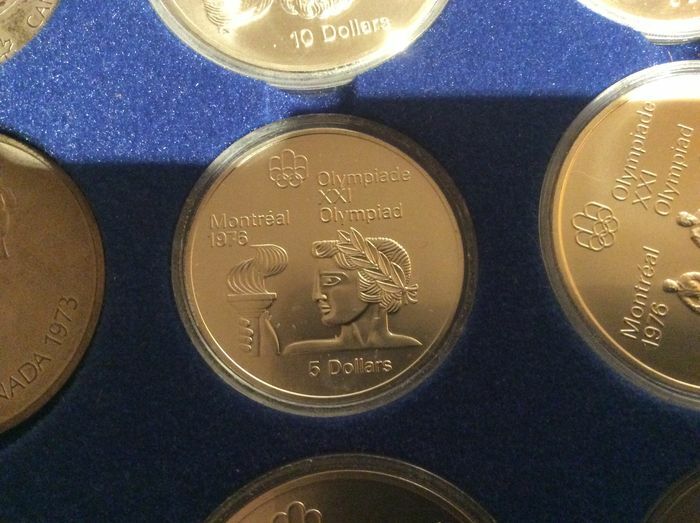 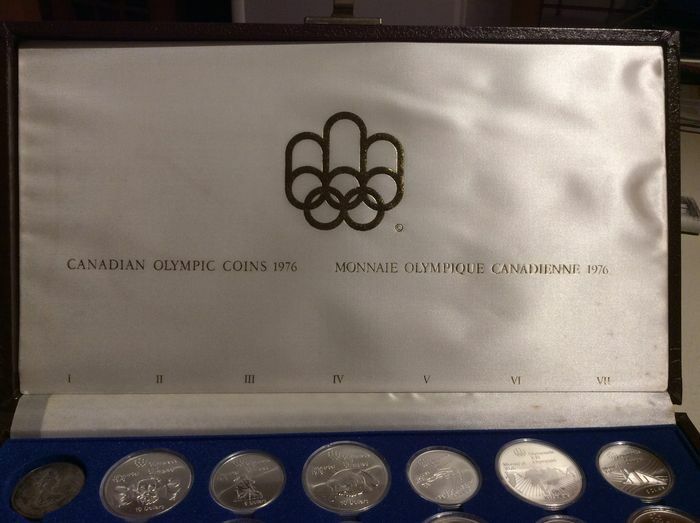 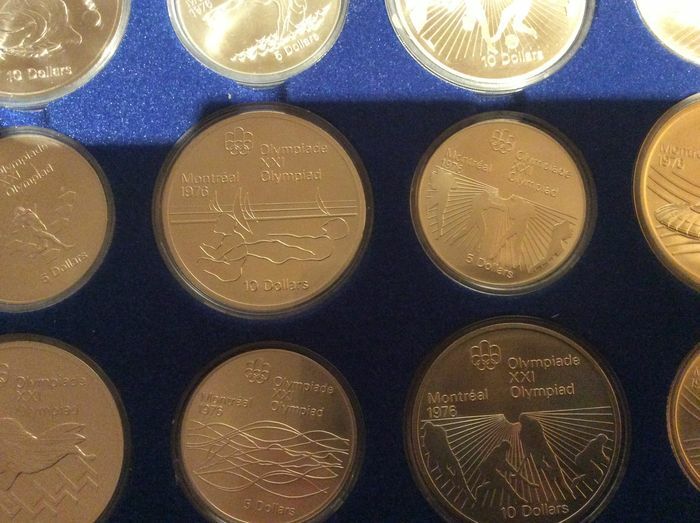 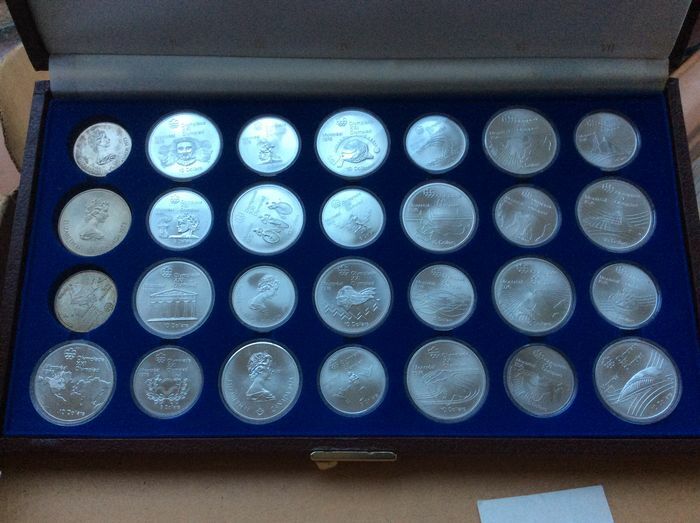 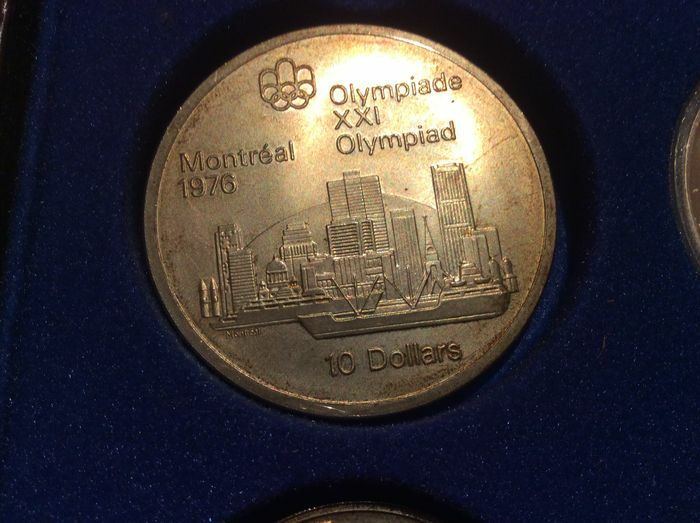 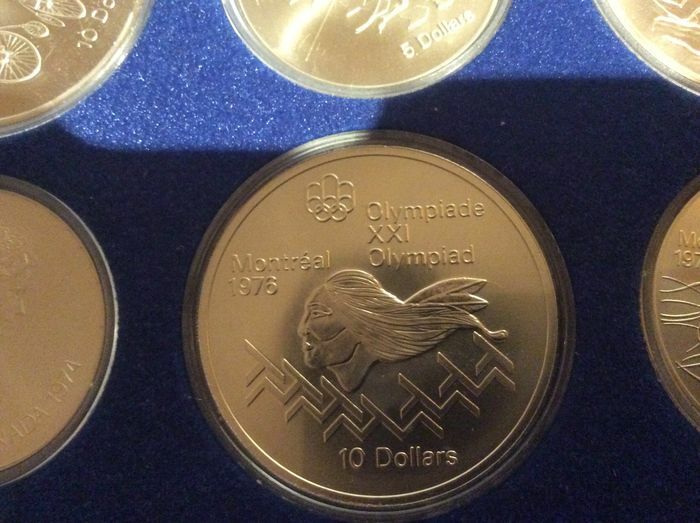 Collection of 28 silver commemorative coins from the Montreal 1976 Olympic Games. 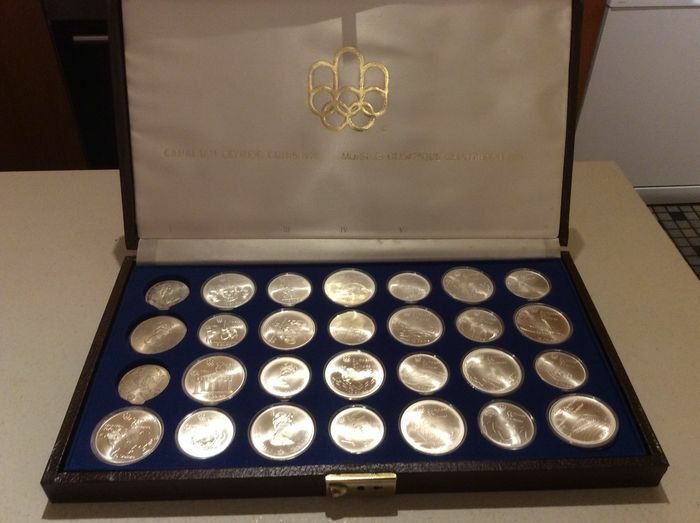 14 coins x $10 and 14 coins x $5. 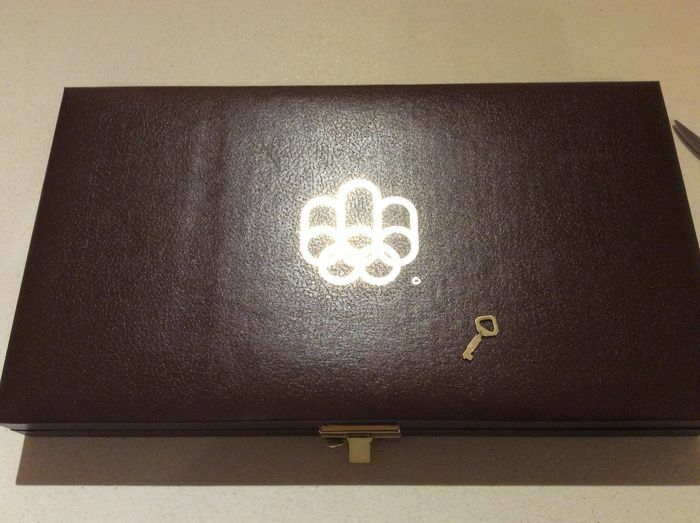 Presented in their original leather case which can be locked with included key. 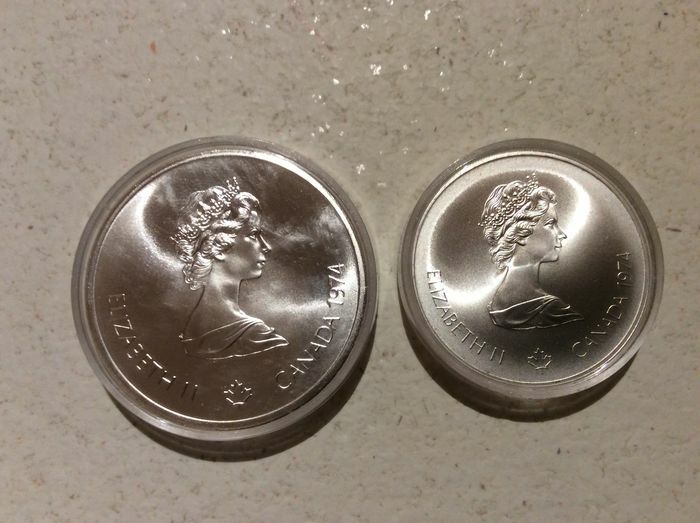 The 14 $5 coins weigh 24 grams each – The $10 coins weigh 48 grams each – Total coin weight: 1.008 kg. 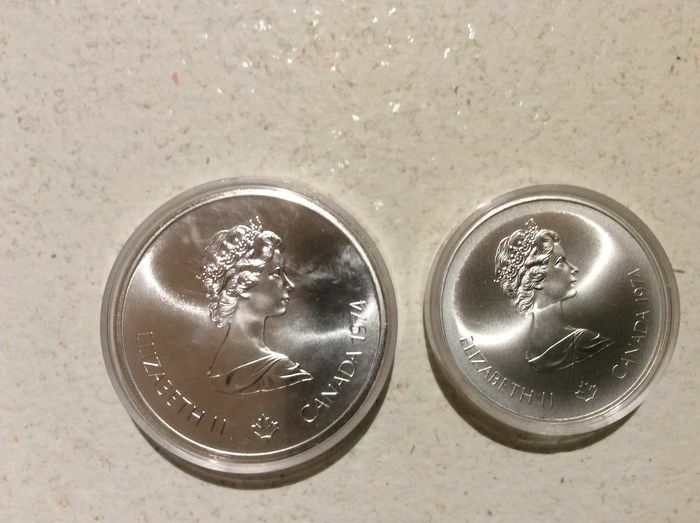 The coins are packaged in a protective Plexiglas container, except for 3 which have been opened for exhibition. 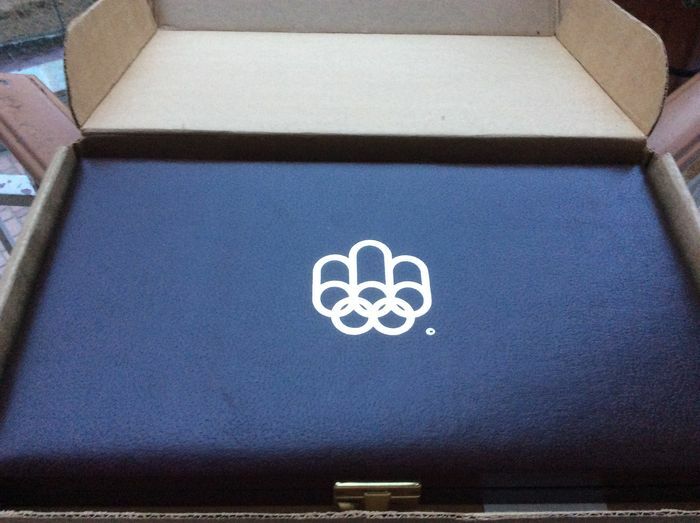 They will be carefully packed, and shipped with insurance.